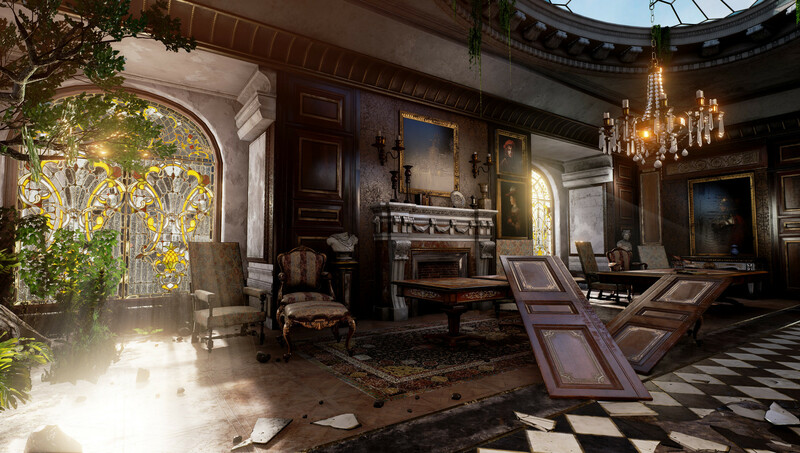 The final scene is finally coming out. 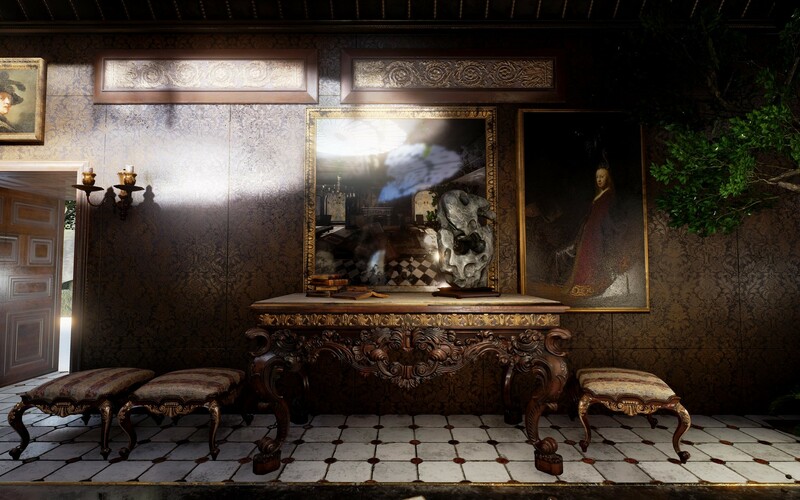 It is realtime rendered in Unreal Engine. 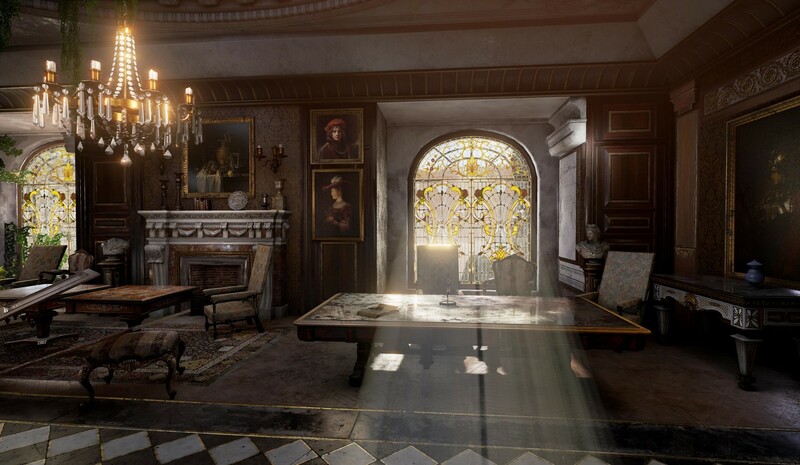 Responsible for all props and lighting. 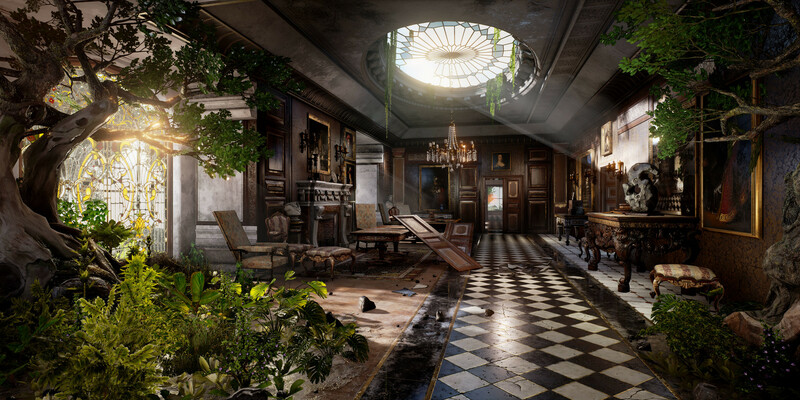 Concept by Titus Lunter. 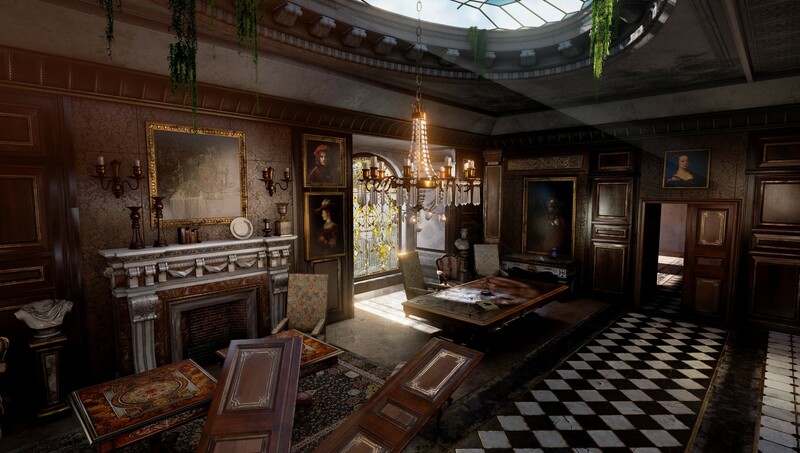 It is not a replica of real room. 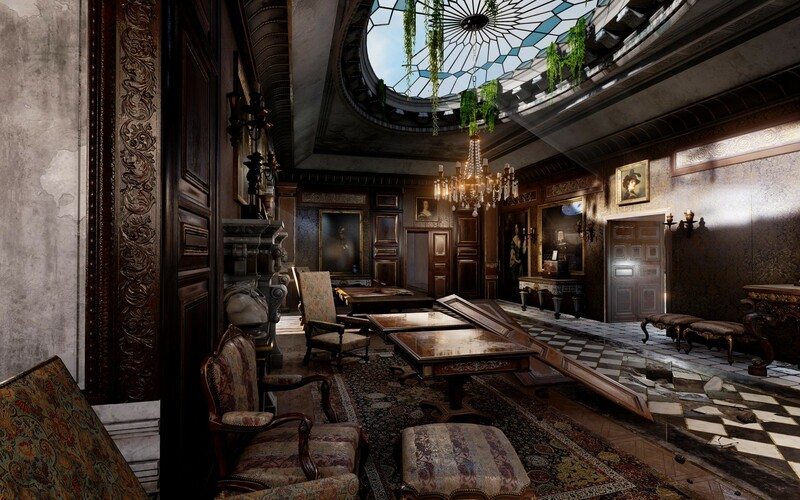 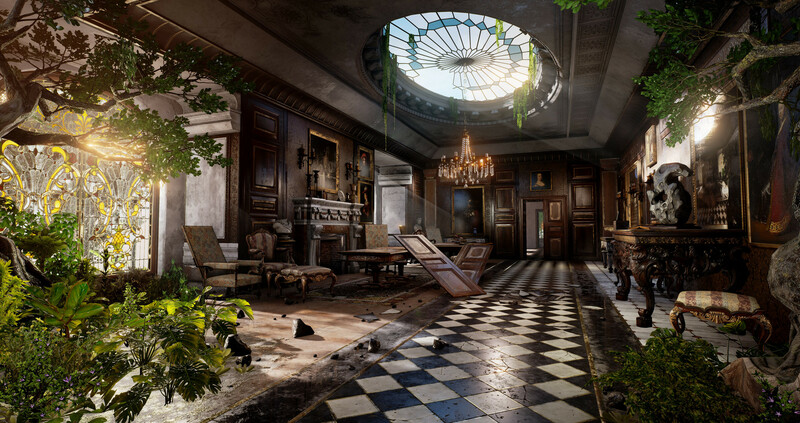 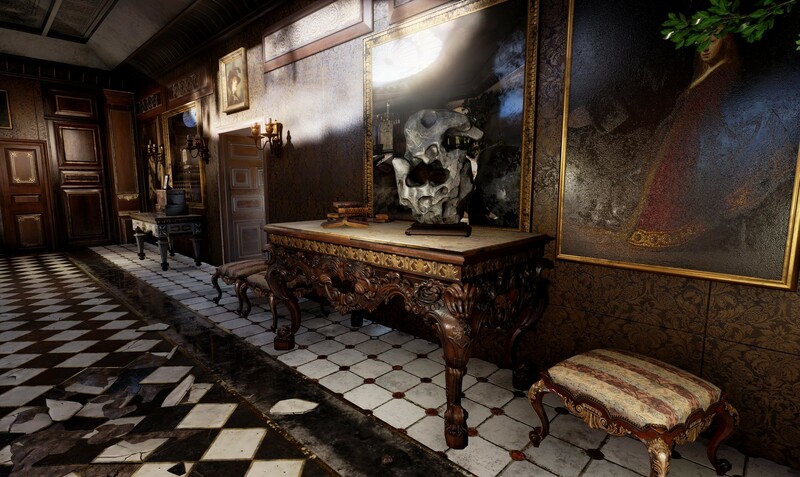 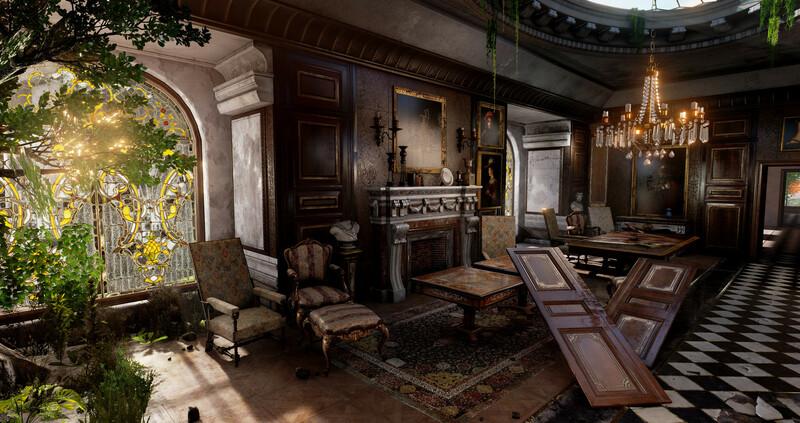 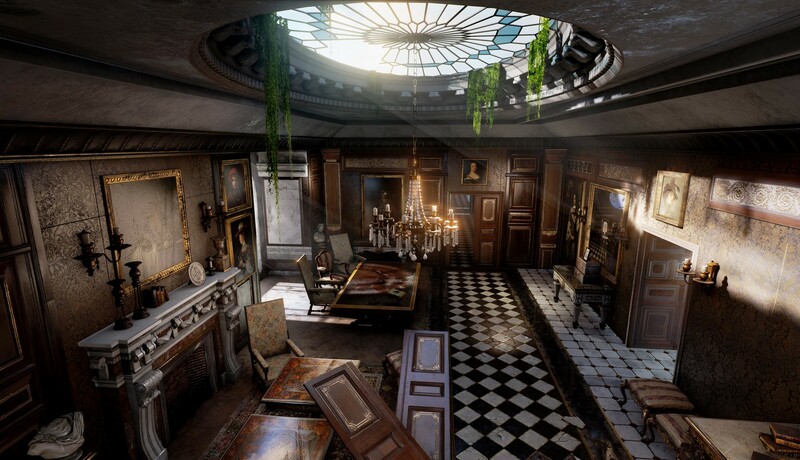 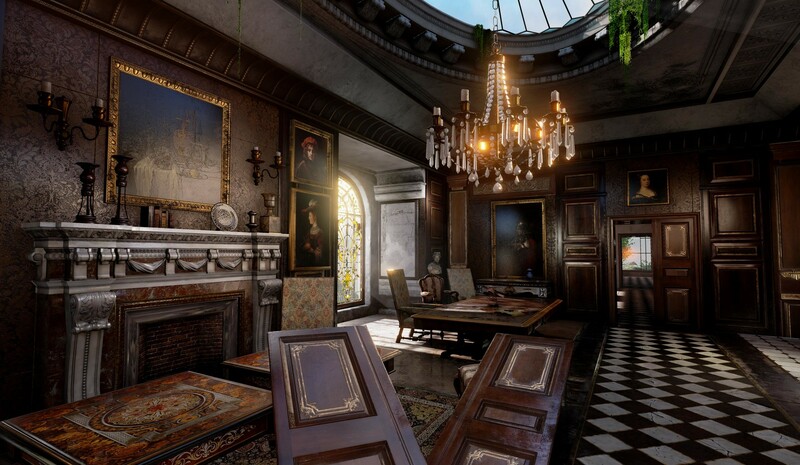 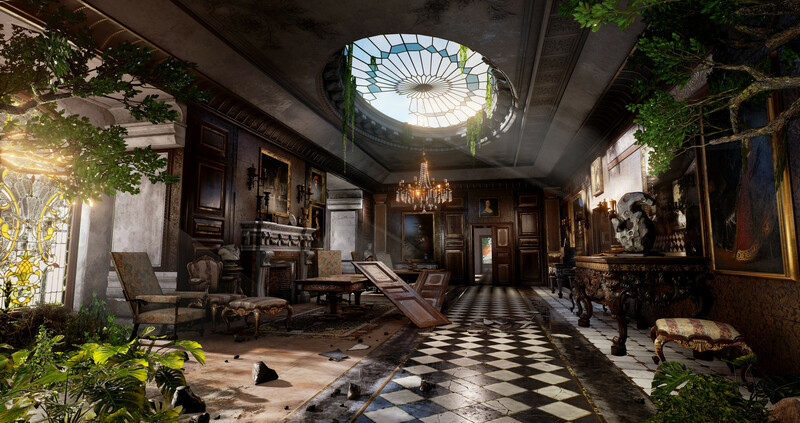 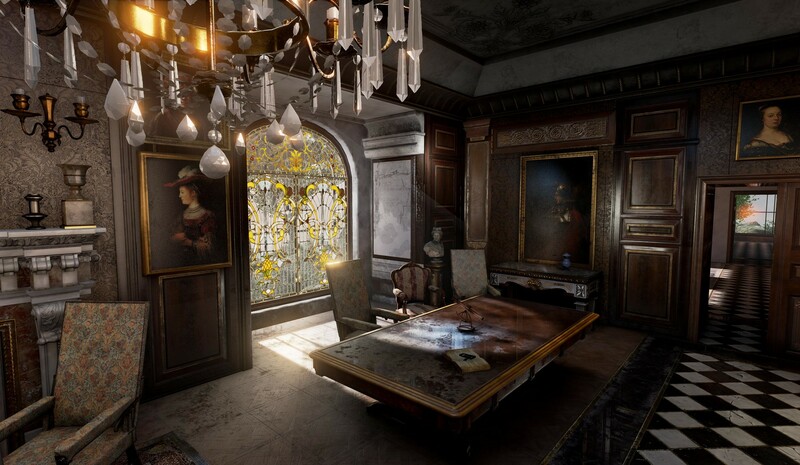 The idea comes from the abandon royal family home.It was made for game scene, so it might be a little dramatic. 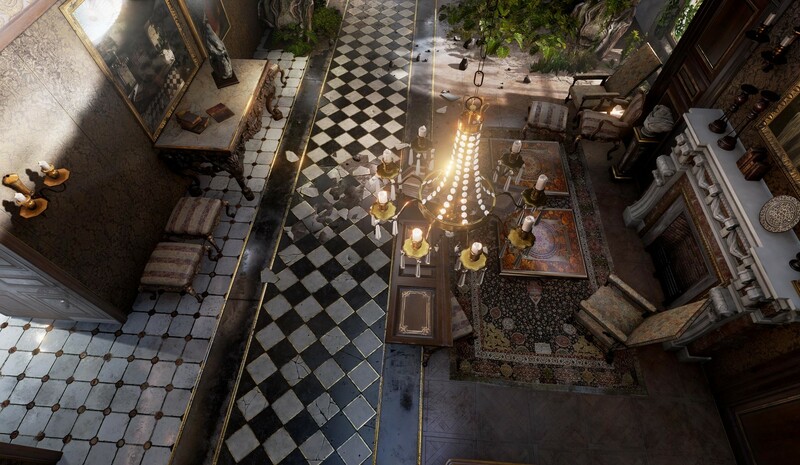 I made up a little story to narrow the concept style, during French revolution and early Victoria era. 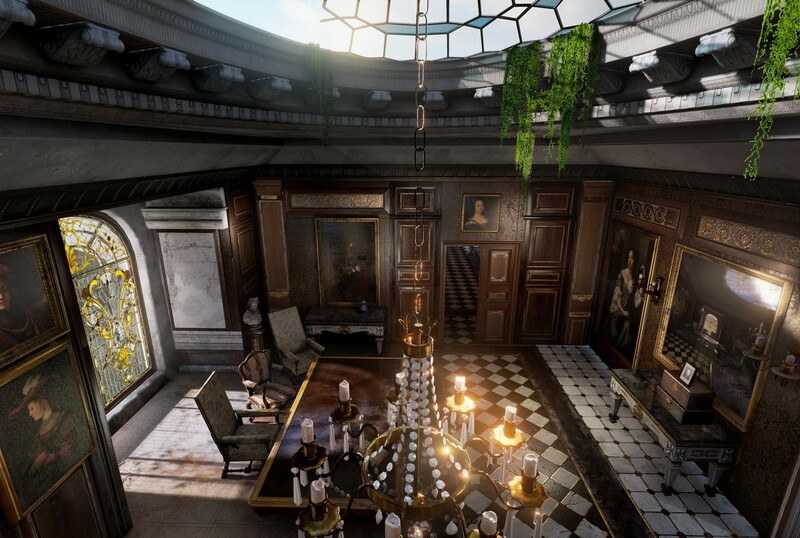 Rich royal family in England kept or brought decor and furniture from French Palace but inevitably declining.